The International Mountain Bicycling Association (IMBA) and the Sustainable Trails Coalition (STC) recently announced a partnership agreement that emphasizes the importance of a collective voice in support of trail stewardship and improved mountain bike access. 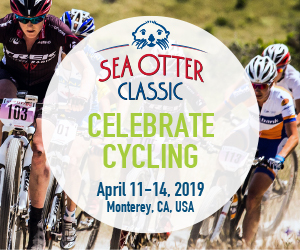 While the two organizations remain distinct, with different approaches to bicycle access in federally managed Wilderness areas, they report great respect for one another and urge mountain bikers to get engaged in each group’s separate missions and advocacy efforts. The organizations point out that although they are alike in their desire for a united and stronger collective voice amongst mountain bikers, they each have different governance and mission strategies. IMBA, a 501(c)(3) non-profit, is legally limited in its ability to directly lobby elected officials. IMBA’s approach will continue to emphasize building partnerships and promoting bike-friendly management policies for all forms of land protection. The STC is organized as a 501(c)(4), which allows it to spend all of its money on directly lobbying for legislative remedies in Congress. 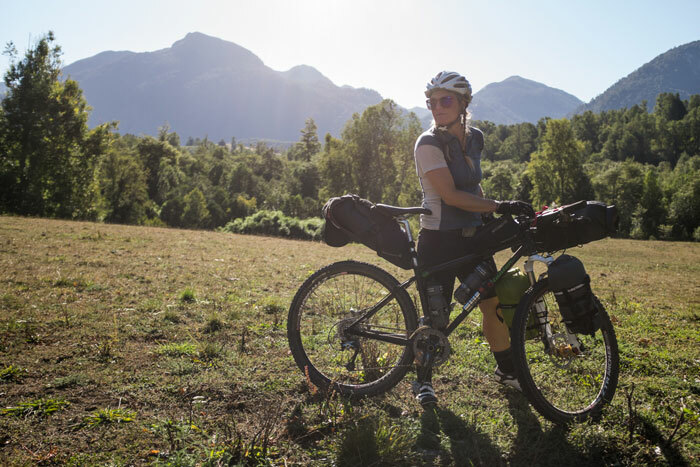 The group will continue to focus on creating a political framework that will result in enhanced bike access and better trail maintenance measures in Wilderness and other natural areas. 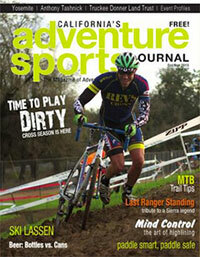 Learn more at imba.com and sustainabletrailscoalition.org. 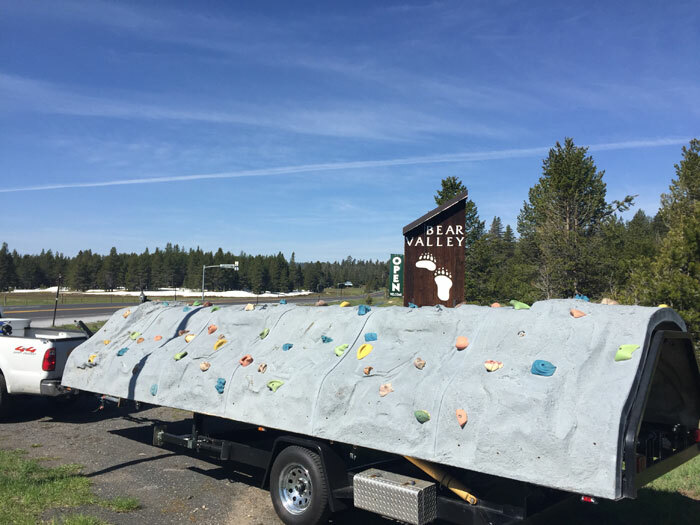 Bear Valley family fun continues this summer with its Adventure Park, offering fun activities, games and swimming, and free shuttle service to Lake Alpine. Hosted at Bear Valley Village nestled among the towering pine trees, the Adventure Park will feature a bungee jump, a ropes course, a rock climbing wall, a swimming pool, and a variety of fun family games for all ages. There will also be free shuttle service between Bear Valley and Lake Alpine, a scenic reservoir covering 180 acres located just minutes from the Bear Valley Lodge. The shuttle service will include a trailer to accommodate bikes, kayaks, and stand up paddle boards. The Adventure Park and shuttle service will run from June 25-September 5. The ParkWatch website in its original form was developed by a group of volunteers in the Sierra foothills after a tragic accident. In 2008 a fence that separated private property from a public park was cut and went unreported. A group of motorcycle riders entered the park through the cut fence and rode on to horse trail. As a result, two equestrians were severely injured, one horse went missing and one horse was killed. The tragedy was first attributed to trail user conflict but the blame shifted quickly to the disconnect that existed between park visitors and park management. The cut in the fence was well known but was it a problem to be solved by California State Parks, the US Forest Service, the Bureau of Land Management, the Bureau of Reclamation, the City, the County or the private property owner? No one knew, and this was the problem. With the core problem identified the ParkWatch website set about collecting reports from park visitors, building a database and keeping park management informed. In the years that followed over 600 reports were submitted to ParkWatch and the response from park management was all positive. As technology has changed and smart phones have become the norm, ParkWatch has changed too. 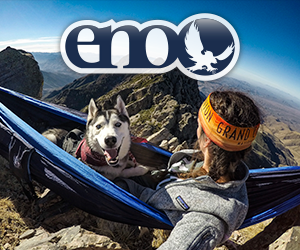 In 2014 the software received a major update, a phone app was added and a national network of parks became possible. A new name was assigned – ParkWatchReport – and it was incorporated in California as Park Watch Report, LLC. Park rangers, wardens and superintendents urge the public to be their “eyes and ears” and to use ParkWatchReport to alert them of circumstances and conditions that pose a concern. 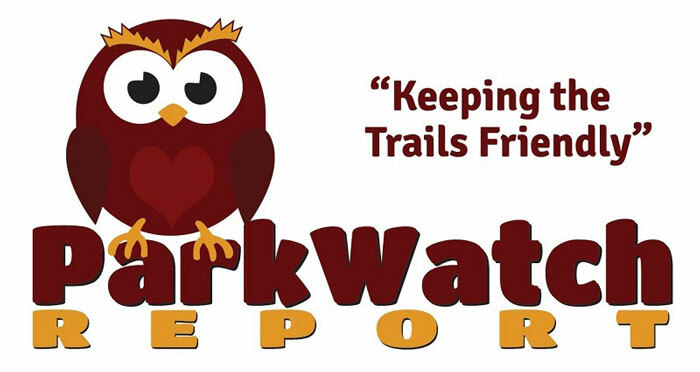 If you love our wonderful system of parks, trails and open spaces that have been reserved for recreation and preservation, then ParkWatchReport is your ticket to the ultimate in stewardship. Call 911 for emergencies and use ParkWatchReport for everything else. Learn more at parkwatchreport.com, like them on Facebook at facebook.com/parkwatchreportllc and download the free ParkWatchReport phone app at Google Play or the Apple Store. A class-action lawsuit has been filed by the Coastal Protection Rangers and two surfers against a group of Palos Verdes, CA residents, known as the Bay Boys, who have been accused of claiming the waves of Lunada Bay as their own. Surfing localism, which occurs when surfers are involved in verbal or physical threats or abuse to deter people from surfing at certain surf spots, has been an ongoing problem in this exclusive Southern California community. Eight surfers, mostly middle-aged men, have been named in the suit, and according to Vic Otten, one of the attorneys bringing the lawsuit, dozens more are expected to be added. They hope to bar the Bay Boys from congregating at Lunada Bay. The area’s negative reputation and the alleged intimidation by locals have kept most outsiders away, despite vows from Palos Verdes Chief of Police, Jeff Kepley, to end localism. Those accused have countered that there is no organized effort to exclude any surfers and that any conflict is simply due to irresponsibility and inexperience on the part of the outsiders. 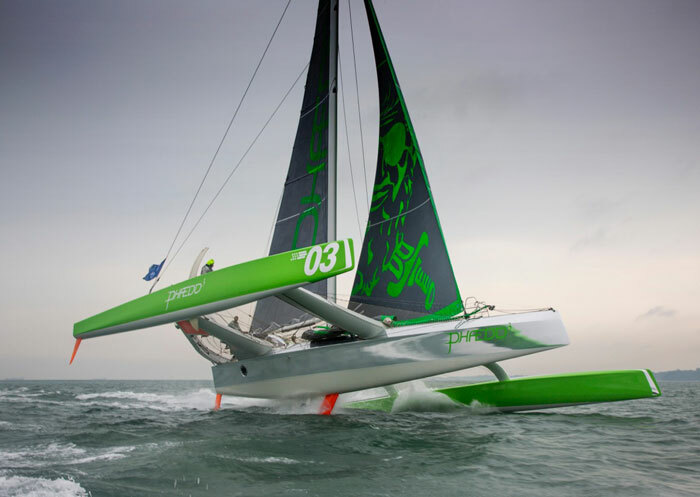 In early May five intrepid sailors aboard the 70-foot sailboat Phaedo3 sprinted alone from Bermuda to Plymouth England in five days, 11 hours and 27 minutes, besting the old 2,870-nautical mile Transatlantic record by more than eight days and 18 hours. 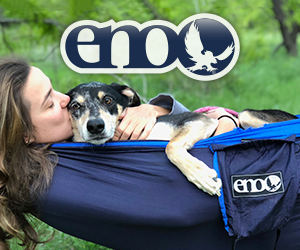 Imagine bouncing around off-road in the back of a pickup truck with four friends at 45 mph for five and a half days with fire hoses being pointed at you while trying to eat, sleep, and keep the rig upright. That’s similar to what the crew of the Phaedo3 endured to set the new record. 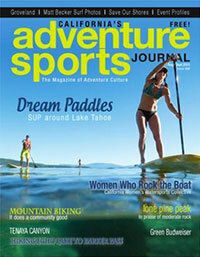 Stay tuned for Paul Allen’s first-hand account of the arduous journey in an upcoming issue of ASJ. More humans have been to space than have rowed across the Pacific – as in 2,400 miles from Monterey, CA to Honolulu, HI. Powered by just their own bodies, self supported and in a 24-foot long and six-foot wide rowing boat, crews will test their limits on June 4 in The Great Pacific Race. The team will row in pairs and their daily routine will be two hours rowing and two hours sleeping for 24 hours a day. California-born Carlo Facchino will attempt this incredible adventure as part of the four person crew “Uniting Nations.” As the owner of the Mermaid Series women’s triathlons, Facchino has helped inspire thousands of women to experience the hard work and joy of crossing the finish line by competing in triathlons and running races. 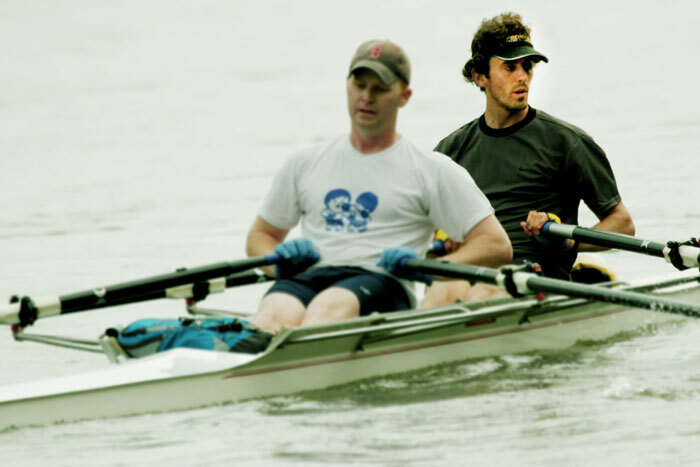 As an experienced rower, cyclist and ultra runner Facchino is excited to put his love for endurance competition to the test by spending 40 days in a row boat with three other teammates. 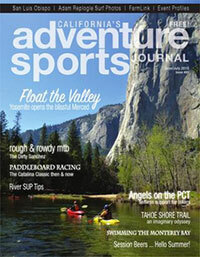 ASJ readers can expect continuing coverage in the next issue. Learn more about the Mermaid Series at mermaidseries.com and The Great Pacific Race at greatpacificrace.com.